Two years ago, NCAA championship soccer coach Lincoln "Tiger" Phillips wrote, "I firmly believe that there are no strangers in life, only friends that you have never met. I also firmly believe in the Law of Attraction. People of like minds attract one another." Author Molly Schiot and Upper Darby resident Ann Koger would discover they embodied the meaning of those words. Koger is one of Schiot's many "friends" acquired over the past three years in writing the recently released book, "Game Changers: The Unsung Heroines of Sports History." 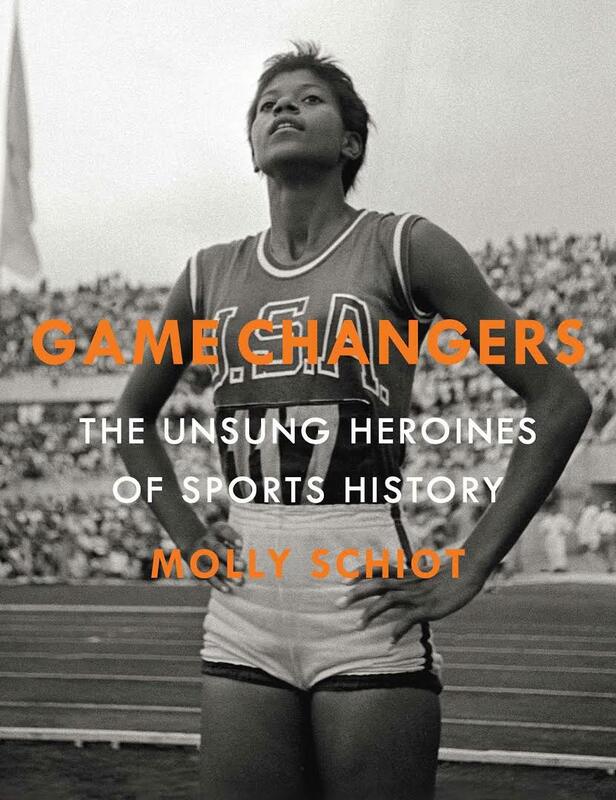 Celebrating the pioneering, forgotten female athletes of the 20th century, Schiot created a beautifully illustrated collection of rarely-before-seen photos and stories that included Koger. "The book is very nice," said Koger, who retired last year after 35 seasons as heac coach of the women's tennis team at Haverford College. "I'm proud to be associated with such an educational, informative and inspirational piece of work. "Molly definitely put a spotlight on the many dynamic stories of women that broke through the glass ceilings of sport and society, doing what we love to do," she added. Using her Instagram account, @TheUnsungHeroines, Schiot began posting a photo each day of a female athlete who changed the face of sports domestically and globally before the Title IX era. The provision in the Education Amendments Act of 1972 led colleges and universities receiving federal assistance to improve funding and conditions in collegiate sports, especially for women. Based in Los Angles, the commercial, video and television director created the book after failed attempts to pitch stories, featuring women, to major media outlets. "I kind of did it as this personal protest," she told the New York Times, "where I was like, 'You can't tell me that these stories aren't interesting. I'm going to show you that they are.' "
In the early part of 2015, Schiot came across a photo of Koger sporting an Afro and added it to her social media collection. Koger caught Schiot's attention after being featured in the NCAA's Champion magazine and in an exhibit at Maryland's Banneker-Douglass Museum titled "The Untold Stories Athletes of Maryland's Historically Black Colleges and Universities." "Just about two years ago my assistant coach informed me that he had been in touch with Molly after he came across her Instagram account," Koger said. "He sent her an invitation to the exhibit in Maryland and she responded, 'Bring this event to Los Angeles!' "
"The two of them communicated for months as Molly worked to turn the Instagram account into a book. It's great that she has been able to make the most of being told 'no' into something that tells the unique and intriguing stories of women in sport throughout the world." Accumulating close to 30,000 Instagram followers since creating @TheUnsungHeroines, publishing house Simon & Schuster decided to produce the first-time author's rendition of a coffee-table read that is quickly being viewed as an anthology of sport and society. Featuring noted legends like tennis legend Althea Gibson and track and field icon Wyomia Tyus, Schiot highlights relatively unknown female trailblazers including motorcycle racer Trudy Beck and bullfighter Conchita Cintron, policymaker Margaret Dunkle and sportswriter Lisa Olson. "I was doing some research in hopes of pitching a few ideas about female athletes to a sports network. I wanted them to be part of a documentary series," Schiot told espnW.com. "I honestly feel like you could take any of these stories and turn them into a film, and it would have all of the components of a really incredible movie." Koger's life story is one worthy of a documentary. At a time when many young girls were encouraged to cuddle their dolls, play jacks and jump rope close to home, Koger spent most of her days on the segregated tennis courts of Baltimore's Druid Hill Park. During her years at Morgan State University, Koger was a four-year letterwoman in four varsity sports -- basketball, field hockey, volleyball and tennis. 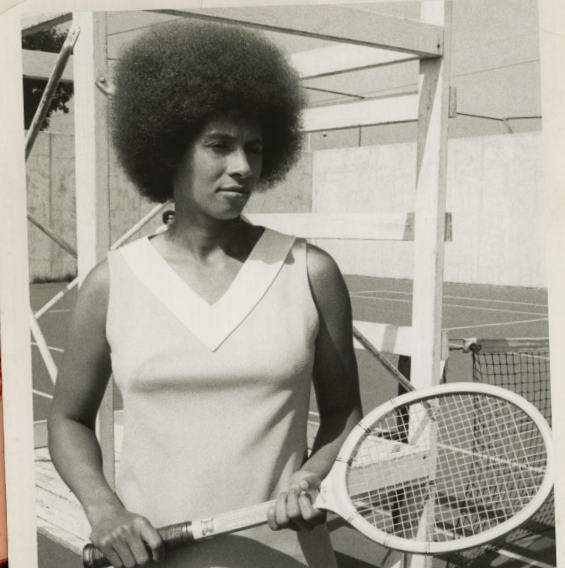 Upon graduation, Koger was a teacher, a newspaper reporter, sports official and became one of the first African-American women to play on the Virginia Slims Tennis Circuit before she was named head coach of the women's tennis program at Haverford College. In March, the United States Tennis Association's Middle States Section will honor Koger with the 2016 Edwin J. Faulkner College Coach of the Year award, adding to her long list accomplishments that includes being among those in the association's hall of fame. "The women in this book [like Ann Koger] had the guts to be first - challenging racial, political and cultural constructs that seemed impenetrable at the time," Schiot said. "When a young girl sees a woman doing something, it becomes attainable and key to changing perceptions. This book is dedicated to the women who were forever told no"
Visit theunsungheroines.com to order a copy of "Game Changers: The Unsung Heroines of Sports History." Lincoln Phillips with Ann Koger at the 2015 Nelson Mandela Day of Sport & Play in Philadelphia.